Welcome back to The Cultural Synergist. Our last newsletter was in July 2009, when I announced that I was taking a 12-month sabbatical to finish my dissertation, spend more time with my family and have some personal reflection time. Well 12 months morphed into 3.5 years where a lot of changes occurred. I successfully completed my dissertation on �The link between Cultural Intelligence and Effective Global Leaders� which took 2 years rather than the planned 12 months! I graduate next month with a Doctor of Business Administration from the International Graduate School of Business at the University of South Australia. During that time, I did some traveling with my family and enjoyed being a more hands-on father to my son and daughter, which offered me some new and rewarding challenges that I am very grateful to have had. It certainly gave me a broader perspective of being a �stay at home� parent. Although I was fortunate to have spent more time with my parents, I lost both my mother and father during this period, which reinforced to me the mortality of life and the adage that we should �seize the day�. Again, I found a change of perspective in my place in the world when my parents were no longer around. As a consequence of my sabbatical experiences, my education, age, family circumstances and the intercultural situation around the world, I find that I am now approaching my work with a set of different lenses. 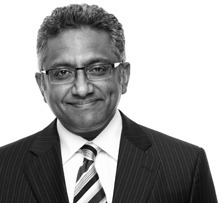 I anticipated that 2012 would be a slow re-entry back into the consulting world however I was pleasantly surprised as it turned out to be a reasonably busy and fulfilling year. It included opportunities in both the academic and the corporate worlds. In the academic context, I taught on a couple of MBA programmes as well as presenting my research at the Academy of Management in Boston, a conference that was attended by 11,000 people from 90 different countries (the paper is located in the Resource section of our website). In the corporate context, since �coming back� we have reconnected with various former clients, gained some new clients, and completed some interesting projects that have led to a number of new programmes that we are rolling out in various locations around the world. My studies have broadened the focus of Cultural Synergies to include Cultural Intelligence (CQ) as the overarching umbrella of our work. You will notice on our newly constructed website that this additional emphasis on CQ is reflected in our new vision and mission statements. As well as seminars, workshops and keynote addresses, our offerings now include Executive Cultural Coaching, Executive Cultural Mentoring and Global Leadership Development programmes. We are working closely with organisations to assess and develop the CQ of their global leadership teams. 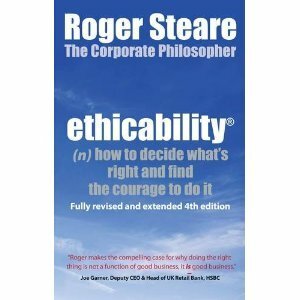 Our recommended book this month comes from a well-respected Corporate Philosopher, Professor Roger Steare, who I had the good fortune to work closely with on a number of ethical leadership programmes in 2012. We look forward to resuming �The Cultural Synergist� on a monthly basis and re-establishing contact with you. Please be in touch if we can assist you in any way. Ethicability is the product of Roger�s work with a range of businesses, professional institutes and public sector bodies around the world. At the core of ethicability are questions such as how do we decide what is right and how/where do we get the courage to apply the right choices? Roger observes that the speed we need to make decisions and the myriad of choices that we have available to us are, at the very least, challenging. He asks, how do we display leadership integrity? How do we nurture business and corporate cultures so that doing the right thing becomes an instinctual part of our organisational DNA? There are a multitude of explicit and implicit rules in the business world and Roger identifies that we need to have the ability to not only ask the right questions, but to also have the tenacity and skill to respond to them in an ethical manner. The book provides a practical framework and compelling case for why doing the right thing is not a function of good business but rather it is good business.